Detect mass deauthentication sent to client / access point which unreasonable amount indicate possible WPA attack for handshakes. Detects possible Rogue Access Point responding to probe by wireless devices in the surrounding. 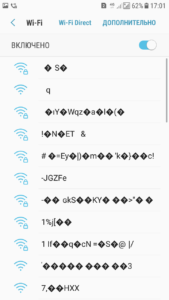 Display similar Access Point's name (SSID) which could have the possibility of WiFi 'Evil Twins'. Allow logging of events to file. Running application without parameter will fire up the interactive mode. -hp --hidepropbe	- Hide displaying of Probing devices. If a possible WEP attacks detected, it will show the Wireless client / Access Point MAC Address (AP Name) and also any authentication/association request made. 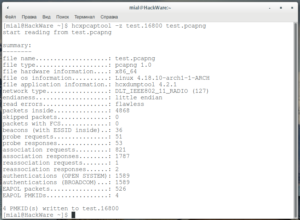 If a possible WPA attacks detected, it will show the Wireless client / Access Point MAC Address (AP Name) that the number of deauthentication packets were detected. If handshakes were also detected, it will display the number of handshake packets found. WIDS also analyse the access point name for frequent changes which could be the possibility of 'Rogue AP' responding to probe by wireless devices. With the similar AP names detected, WIDS will display these APs with similar names which could have the possibility of Evil Twins. Not all similar AP names are evil twins as some routers can have two or more similar name set by users. It is the user discretion to decide whether is it a evil twins.